Some strange things drops in certain dungeons. Furthermore they are useful at times. 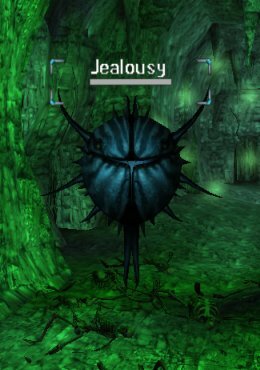 One of those is Essence of Pure Jealousy, a QL 42 that drops in stacks of 3 of a mob called Jealousy in the Steps of Madness. Don't split this stack, you need to use all 3 charges in one go. And the item you're applying it to? An Aggression Multiplier, found as mission reward, in chest and also sold in shops (to a certain QL). QL of Aggression Multiplier does matter, since it sets the QL of the final product. Requires x4.5 in Mechanical Engineering and x4.5 in Weapon Smithing Skills based on the QL of Aggression Multiplier. Normal Aggression Multiplier at QL 200 taunts for 800, while Aggression Multiplier (Jealousy Augmented) of same QL taunts for 1800. It's one of best agro tools in-game and it's not even profession specific.